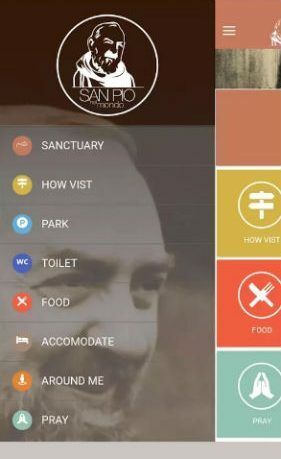 San Pio In the World, available for Android through the Google Play store, is a comprehensive app that is designed around guiding pilgrims and tourists around The Sanctuary, dedicated to the life and teachings of Padre Pio, or San Pio. 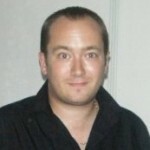 The app is very similar to the Website available, but offers few more features that work better in an app environment. The interface will be instantly familiar to Android users, and sports a bright and colourful look that is both cheerful to look at and easy to navigate. 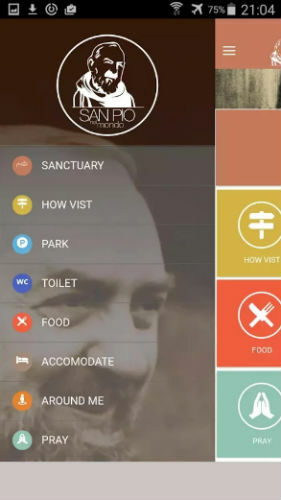 We believe that this app is very important, so that the pilgrim will not forget the places of St. Pio of Pietrelcina that he has just visited, the whole Gargano, so when he goes home, he will know that it is always with him in order to inform him of everything that happens in the Sanctuary and elsewhere. The worshipper will be able to read, view images or listen to the meditations of St. Pio including what was written about him, finally, they will be helped to pray (there are many prayers, novenas, saint rosaries included in the app that will accompany them every day when they return to their country of origin). – Leave prayer requests by pressing a special button that will be transferred onto our mailbox. Now, the app is well designed and had no major problems that I could find. However, the English translation does need a bit of work put into it, as some sections are quite hard to understand. The app worked well on the variety of devices I tested on, and is only has a small system overhead, so running and keeping it on your phone when you visit, or want more information on San Pio is never going to be a problem. There are quite a few options available, and the list of features is actually quite impressive, and goes above and beyond what many similar apps provide. Overall, if this app appeals to you, then you should definitely give it a try, as it is a great source of knowledge on the subject matter. I would like the English translation improved, but aside from that, this is a very comprehensive app.